Hi all, today I will be reviewing a piece of software called Viral Autoboots,it claims to find for you facebook content with high engagement that you can use for your own fan page. 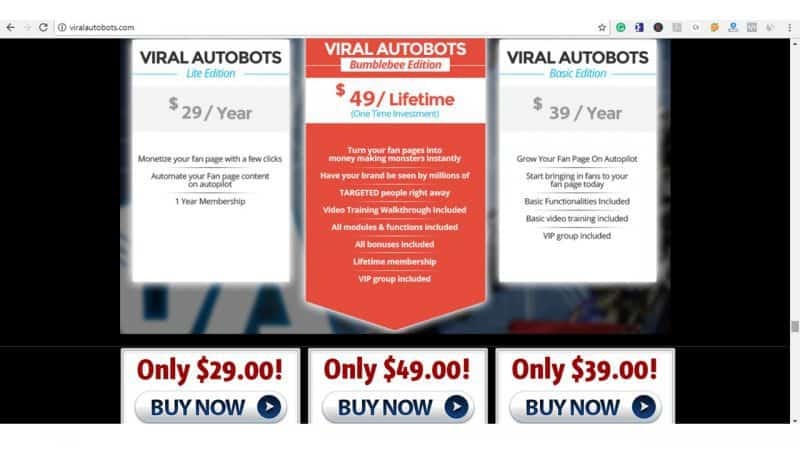 Viral autoboots is the product of a well-known internet marketer by the name of Luke Maguire. It has actually been on the market for a couple of years and I came upon it by chance,I was looking for products on the JVZOO network that could help me increase my website traffic through Facebook. Facebook can provide a huge source of traffic but it’s tough to get high organic reach as Facebook wants you to spend on ads if you want to reach a bigger audience. I have a couple of Facebook pages but I have struggled to grow them and hence why I was looking for products that could help me in this regard. So does viral autoboots work and will it increase your Facebook engagement and funnel traffic to your website and affiliate offers? Well, that is what you will find out in this unbiased review of viral autoboots. As is the norm with all products from the JVZOO network, Viral Autobots comes with a couple of upsells. One is an affiliate link cloaker and the other a full-on training system for Viral Autobots. In the training section for Viral Autoboots,Luke recommends downloading them and then posting them because apparently, Facebook likes you posting content from within its platform. That is the basic function of this software. I personally have no time for bonuses, I know why they are offered (people often by digital products just for the bonus’s the vendors or affiliate offer),however, most people will hardly use the actual product let alone the bonus’s. Having said that, the bonuses offered by Luke are pretty good and some may find them useful for their own online business. 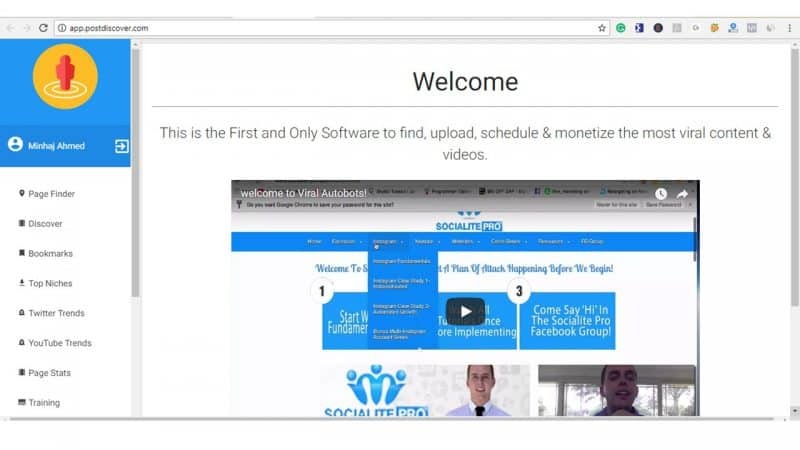 There are a total of 8 training videos, covering all the main features of Viral Autoboot,included within the training is a video case study of a fan page they grew with the help of this app. These two features work in tandem,you first click on the page finder tab and search for whichever niche your page is about and the app will find all the Facebook pages within your niche. 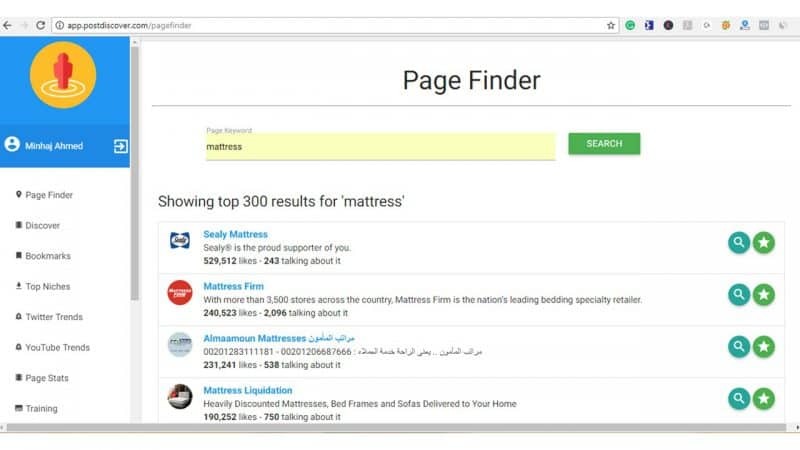 As an example, if I input the keyword ‘mattress’ the app will find all the top pages that have to do with mattresses. You can then click on the green search button on the right,which is the discover feature,and this will return all the posts of that page that have the most engagement. You can filter the posts by either images and videos and set a minimum amount of likes. You then have the option to view the post,share it to your facebook page through viral autoboots or download and then upload it to your page. 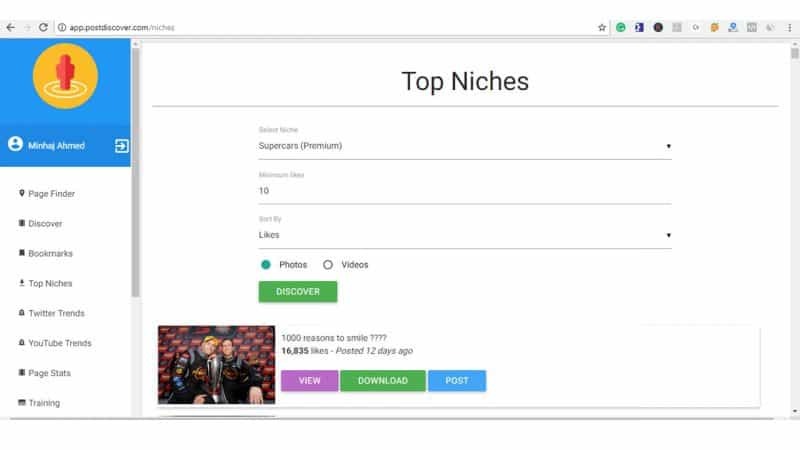 Here the creators of this app have researched the most engaged niches and preloaded the app with the top Facebook pages within those niches. This section is similar to the page finder and discover feature, the only difference is that all the pages have been chosen for you. You just have to choose which niche applies to your page and then find the most engaging posts and use them for yourself. These are pretty decent features,it lets you search the most viral Twitter hashtags and you can even pick specific locations to see what hashtags are trending on Twitter. The YouTube trends feature is similar,it shows you what videos are trending in certain countries and just like the main feature, you can either share it on your fan page or download it and then share it. Honestly speaking I haven’t made much use of these features but they do look like something I can make use of outside of Facebook. There are a couple of suggested chrome extensions that will make using this app easier. The first one is called mass downloader and all this does is download all the images of all the Facebook posts that have the most engagement and then you can upload them one by one to your page. This makes it far easier than manually downloading each image and then uploading them. The other extension is called Facebook invite all plugin, this is a pretty nifty little extension, what it does is invite everyone that has liked a post from a page similar to yours to also like your page. This may seem a little spammy but since you know people are interested in the same thing that your page is about,maybe they will not mind. As I mentioned near the start of this review, you get a few bonuses with this product. 1.Socialite Pro – Another product of Luke’s that retails for $67, it looks a product that will show you how to manage local business’s social media marketing. 2.A video case study of how a marketer made over $1000 with 2 simple videos. 3. WordPress plugin that will bring you data from Google trends. Like I also said near the beginning of this review,I don’t bother with bonuses as they usually distract you from the main product and you then end up not fully utilising the actual software you paid for. There are 3 versions of viral autoboots, I bought the Bumblebee edition since it had the most features and I thought I could make it work faster. Before I go on, I was once again disappointed by the over-hyped sales page for this product, it made it seem all I had to do was share the most viral images and videos and I would see exponential growth for my page. Once I got in and had a play around with the software I realised that would not be the case, to make this work, you will have to do a bit of Facebook advertising. Luckily there is some decent training on Facebook advertising, but I was hesitant to follow it. Since Facebook are continuously updating their algorithm and I didn’t know how relevant the information would be since it has been almost 2 years since the tutorial was made. Have I grown my Facebook fan page by just posting the content I found on viral autoboots? No, and honestly I didn’t think I would, I will try out some Facebook advertising and see how that goes and will update this review accordingly. Once again, a product from JVZOO failed to live up to its sales page hype,which is a shame because I believe Viral Autoboots is a decent product. If the sales page let it be known that you will have to do some paid Facebook advertising to make this work I would not have been disappointed but that is not the case. Also, since I have bought this product, I have not been accepted into the VIP Facebook group which was one of the supposed benefits of purchasing the Bumblebee edition. Maybe the group isn’t as active,who knows but still a negative mark against this product. Would I recommend this? I am still on the fence, I haven’t been able to make it work for my pages so far,however I will try out Facebook advertising with some of the videos and images and see how I fare. Have you purchased Viral Autobots? What has your experience been like? Would love to hear your comments on this product if you have used or not. It is really interesting with a product that can help you to get traffic from Facebook. The main problem I am facing with my marketing is how to get traffic and from what I have heard, there is a ton of great traffic to get from Facebook for my niche. So if is product could work then this would something for me. How many niches is covered within is product? Can you find interesting pages for just about anything or is it restricted to certain niches/interests? It would be great to read about your own results once you this going. Thanks for stopping by and commenting,yes this software can find high engagement facebook posts in any niche. I wil keep you updated once I have completed my facebook advertising campaigns. I take it you didn’t get any good results with this software after all. No,the software was a disappointment,didn’t give me the results I was expecting and I think that the vendor has abandoned it.